The day before Halloween 2004 was the last day on Earth for respected, well-liked college professor Fred Jablin. That morning, a neighbor discovered his body lying in a pool of blood in the driveway of Jablin's Virginia home. Police immediately turned their attentions to the victim's ex-wife, Piper, a petite, pretty Texas lawyer who had lost a bitter custody battle and would do anything to get her kids back. But Piper was in Houston, one thousand miles away, at the time of the slaying and couldn't possibly have been the killer . . . could she? So began an investigation into one of the most bizarre cases Virginia and Texas law enforcement agencies had ever encountered: a twisted conspiracy of lies, rage, paranoia, manipulation, and savage murder that would ensnare an entire family—including two lethally close look-alike sisters—and reveal the shocking depravities possible when a dangerously disordered mind slips into madness. Regular readers probably know by now that Kathryn Casey is one of my best true crime writers.I am still trying to come up with a rating system more based on likes and dislikes of readers of true crime stories.This would involve how much of the book is based on early childhood and past of the main characters,how much is spent on the investigation,graphic details of the crime,and finally the actual court case.I would also mention if the person who committed the crime has actually been charged or not.Each true crime reader has their own likes and dislikes and this rating system would help them decide if the book is for them. So this is where Kathryn Casey comes in.Her books consistently strive towards applying all these above preferences so that the special needs of each true crime reader is satisfied in whichever book of hers you would read.Applying my rating system to Kathryn Casey books would result in high scores for each of the different categories.The only choice left to the true crime reader would be to decide if the true crime genre is something that interests them.Some people prefer reading about family murders and others about serial killers.Obviously if you are absolutely rigid on which true crime genres you prefer then your choice would go according to that.No true crime writer could possibly only write about one genre.But we all have a choice and I would suggest reading ALL of Kathryn Casey books as they cover a wide variety of genres coupled with brilliant writing and intensive research. True crime writers are a special breed of people who have decided to use their talent to publicise and bring to our attention the stories of the victims of crime.If it were not for them some of the victims' stories would never be known.And believe me when I write that they are not motivated for the money as true crime books are much cheaper than fiction books.One of the main reasons I blog about these books is because I want to create an awareness of these books.There are so many people out there who don't know about them,some who do believe them to be full of gory details,and this is my way of putting them out there and getting as many people to start reading them so they can share the same joy that I have in reading true crime books. Back to the review on Die,My Love by Kathryn Casey.First and foremost you need to know that the investigation process is intensive in this book.This is not the book to read while listening to TV.I had to absolutely concentrate on every line as there was different information all the time.It is so brilliantly written and I was so absorbed in the investigation that I got to the stage when the investigation stopped and we had to go to Fred Jablin's funeral and my feeling was "not another funeral".This sounds callous but he was such a well loved character that there were so many farewells for this wonderful man and I was so involved in the investigation and so hyped up that I thought "gosh do we really have to go to another one?We have things to do and we have to catch this woman. "This is how involved a reader gets in a Kathryn Casey book. The background of the main characters and the information provided is so interesting and relevant to how this woman ends up being a murderer.I was engrossed from beginning to end.And this is all after I actually watched an hour long program on this case on TV.I was reluctant to read this book because of that but decided to because it is written by Kathryn Casey.And it was the right thing to do.After the TV program I was left with a lot of doubts as to whether it was Piper Rountree who had done this and not her sister Tina Rountree.After reading this book and all the extra information on the investigation and the evidence presented I am in no doubt that Piper Rountree murdered her husband and the father of her children.This is one crazy puppy. I absolutely recommend reading this book whatever your preferences are,unless you have a need for graphic crime details(which it does not supply-after all the man was shot)but I personally do not read these books for the crime details at all but more for the psychology behind the crimes. If you would like to find out more about this book,South African readers can access via Kalahari Books and if you would like to get a few more opinions in the form of other readers' reviews then the Amazon link below will supply that. 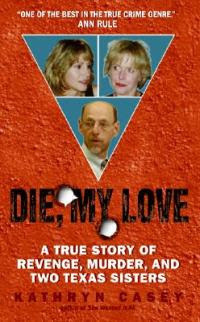 I read this book in April 2009 and it has 353 pages and 8 pages of photographs.There is also a final "Author's Note" chapter where Kathryn Casey speaks to Piper Rountree(the convicted murderess).And for me I totally appreciated the "Acknowledgements" chapter where Kathryn Casey thanks her readers and also the readers who recommend her books to others.I felt special and recognised and all I can say,Kathryn, is thank You for your brilliant books and sharing your talent by writing wonderful,wonderful books. I found this blog from your lead from my TC Bookclub on facebook. This looks like a very interesting blog. I look forward to reading. Thanks for the invite. What a really good, through review! I haven't read much True Crime and you really gave me something to think about! Thank you for dropping by my blog. I do read all the time, but have never tried a true crime story. Maybe you;ll convince me to give it a try, but I do like the good guys to win in the end. Sharon thank you so much for the compliment.I am glad you enjoyed it. Jo Please try just one. and to both of you if you want please let me know and I will send you each a copy of Small Sacrifices by Ann Rule.I ended up buying two by mistake.It is a wonderful book and a good one to get started with.